3 Bedroom Detached House For Sale in Leicester for Asking Price £352,950. A stylish three bedroom detached property which has accommodation comprising of a light and airy entrance hall, spacious lounge, dining room, kitchen diner with French doors opening to the rear garden, ground floor bedroom again with French doors opening to the rear and a Jack and Jill bathroom. On the firs floor are two further double bedrooms and shower room. Outside the property benefits from off road parking and a garage located at the side. To the rear is an enclosed garden. 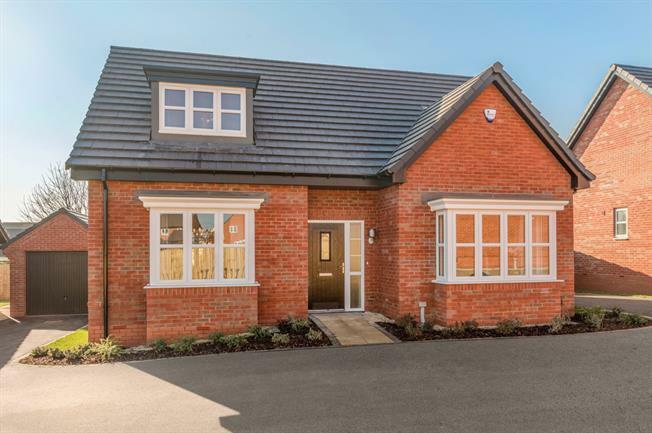 This fantastic detached property built by the highly regarded Bloor Homes offers versatile accommodation and must be viewed internally to be fully appreciated.